Assemble the models in whole-class demonstration, then let students try it later to test their knowledge. 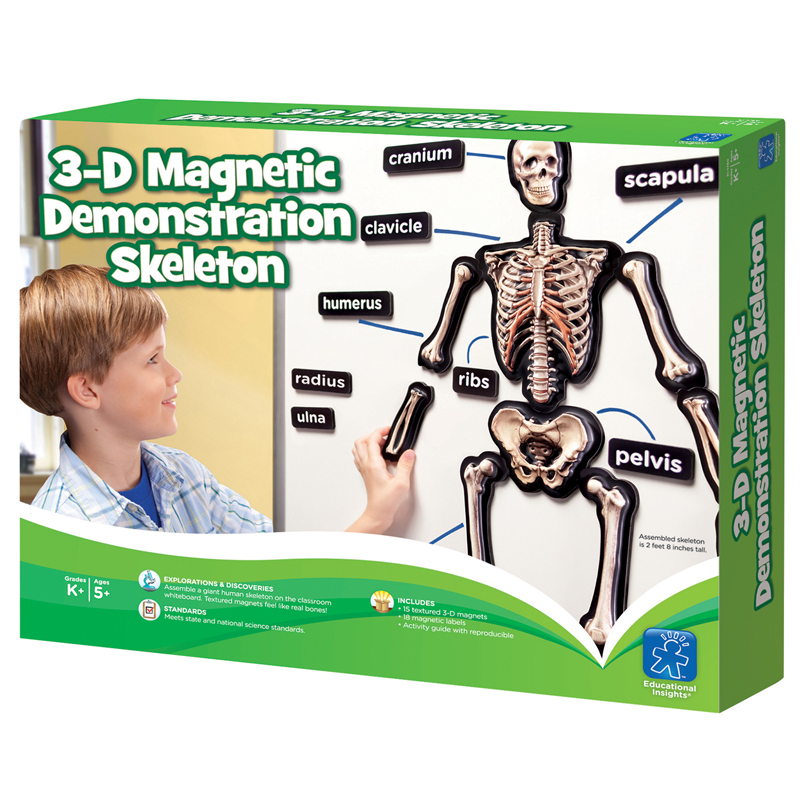 Chunky 3-D pieces are easy to manipulate in hands-on discovery. Realistic skeleton set features textured pieces that feel like real bones. Great for introducing science vocabulary. Each set includes activity guide.